Last week we were breaking up. For some strange reason, I had a hard time coming up with “making up” songs. So I just went with two artists whose return to the music scene I am impatiently waiting for. Things just fell into place from there. Neither of these artists are “old school.” Sure seems like it though since both of them have deprived us for more than a minute. First up, we got Faith Evans “Soon As I Get Home.” Who wouldn’t want to make up with Faye after hearing this sweet plea? And you know the best part of making up, right? Sorry ya’ll. That song is…QUITE special to a sista. Hope you enjoyed my picks today. Hell, I know I did. Be sure to check out other meme participants. Girl, that Maxwell does some thangs, doesn’t he? Great Choices! I didn’t play last week since I couldn’t really think of any break up songs. Making up is always better. First time hearing of Maxwell. The brother is real cool. I chuckled with the whole hotel scene and her walking around. I’m a movie lover so this reminded me of “True Lies” with Jamie Lee and Arnold. @danielle – I agree. Making up is SO much better. @shae – GIRLLLL, you just don’t know. I’m just trying to maintain! LOL! I couldn’t watch the video myself. 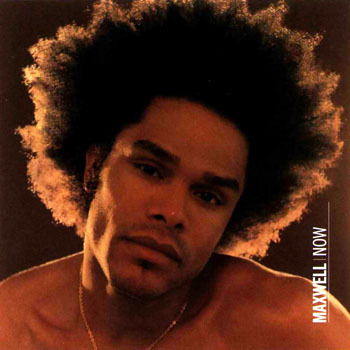 Vivrant, it’s bad that i only know one Maxwell song, the one played on the movie Love & Basketball. He was jammin that old Al Green on the BET Music Awards though. Great choices…can hardly wait to hear what’s next for Maxwell. Enjoy your weekend. HaHa, great choices! I knew someone would pull out the Maxwell!! Chile I just said on someone else’s blog how that Urban Hang Suite has some memories for a girl. And the knocking cops…sigh…smh…got a girl in a LOT of trouble…. Great choices!! Cant go wrong with Maxwell. Tho I love me some Maxwell, I absolutely adore that song by Faith. It is SO sweet, I love it. Nice. Two consistent artists that are really talented. I wonder if Maxwell updated his myspace page with one more new song or hell, just the fulled version of the song he posted. I doubt it. I LOVE Faith’s first album. I hope she comes out with something new soon.